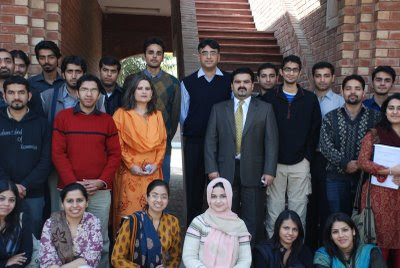 The Fifth Annual Conference on Management of the Pakistan Economy is being held in Lahore School of Economics (Center for Research in Economics and Business) on 20-21 April, 2009. The underlying objective of the conference is to promote dialogue/discussion on key economic management and policy issues facing the country today. A distinguished economist or senior policy maker will be asked to present the keynote address, while eminent economists from the region will be invited to present papers or participate in the panel sessions. The papers and proceedings of the conference will be published in a special issue of the Lahore Journal of Economics. 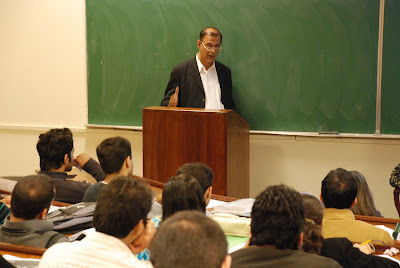 Muneer Kamal, the President of KASB Bank visited the Lahore School of Economics and delivered a talk to students of MBA and MSc (Economics) on February 12, 2009. He focused on the areas like Global Economic Slowdown, Meltdown of Financial Sector, Massive Liquidity Crunch. The talk was followed by questions and answers session. 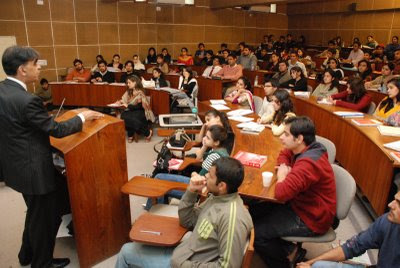 Asad Umer, the Chief Executive and President of Engro Chemical Pakistan Ltd visited Lahore School of Economics and gave a presentation to students of MBA and MSc (Economics). Asad Umer gave a brief history of Engro Chemical and covered core values of the company. He also threw light on the sales, production and profits of the company. The presentation was followed by questions answers session and was also attended by faculty members.